Watching TV is a great pastime, and with the huge variety of shows out there, there’s truly something for everyone. Unfortunately, these days a cable TV subscription can seem to cost you an arm and a leg. The prices of cable TV have been steadily but rapidly rising in recent years, and the trend looks like it will continue. The average cable TV bill in the United States was $103 per month in 2016, and that number is still on the rise. That’s essentially $100 per month, which is $1,200 per year. Just think, what else could you do with $1,200? You could go on a vacation once per year, you could pick up an expensive hobby like skiing, you could invest for your retirement… the list goes on. Luckily, there are alternatives nowadays to cable TV. If you’re wondering how to get rid of cable TV, this is the guide for you! Today, we are seeing more and more people getting rid of cable. If you’re interested in cutting the cable cord for good, but are not quite sure where to start, follow our step by step guide below. Cutting cable itself is easy, so long as your not under contract – just call your provider and cancel. But, of course, many people wonder how to get rid of cable and still watch TV, which is what we’re going to discuss today. 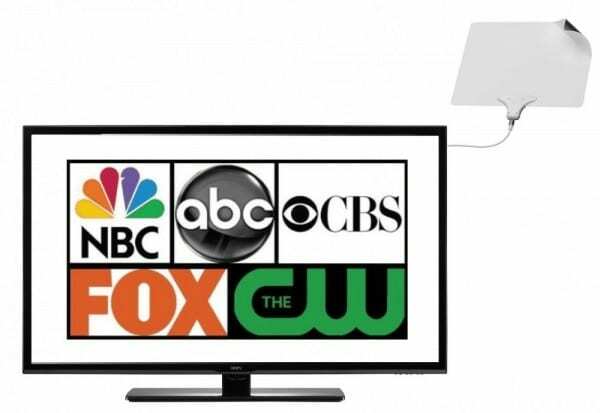 There are some great cable TV alternatives that you can use. In order to cut the cable cord and still be able to watch your favorite shows, follow our step by step guide below. First and foremost, you’ll want to explore the cable TV alternatives available to you. There are several out there, that generally fall into two categories: live streaming, and on-demand streaming. The on-demand services, such as Netflix and Amazon Prime Video, are quite popular and a great way to watch older shows and movies on-demand. However, they don’t offer the same type of live TV experience that you’re used to with cable. In order to cut cable and still watch live TV, you’ll want to get one of two services: Sling TV, or DIRECTV NOW. Sling TV starts at just $20 per month! No hidden fees, and NO contract required! You can check our Sling TV review to learn more and see the full channels list. And, you can also test things out for yourself with a free 7-day trial of Sling TV! 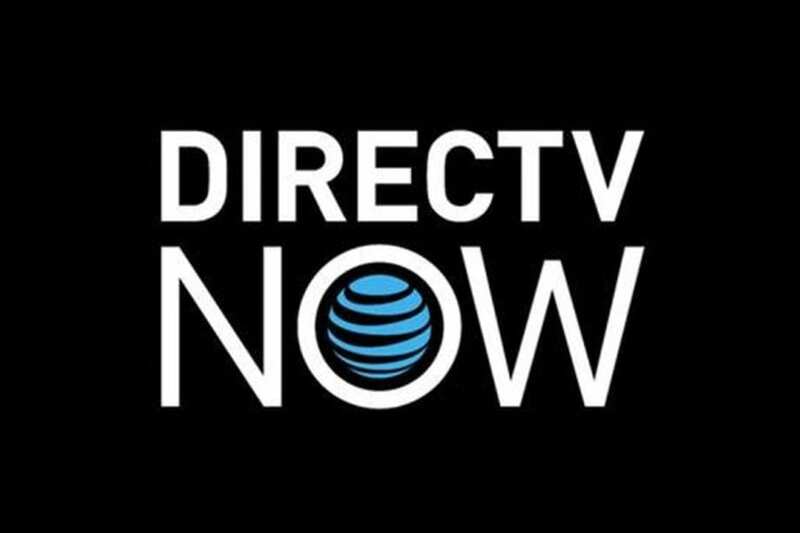 Check out our DIRECTV NOW review for more information on the service. Or, start things off for free and explore the service with a free 7-day trial of DIRECTV NOW. Once you’ve chosen either Sling TV or DIRECTV NOW and signed up, you’re ready to move onto step #2. Optionally, you may also want to consider a good on-demand streaming service, such as Amazon Prime Instant Video. Amazon Instant Video provides hundreds of thousands of hours of on-demand content, ranging from TV shows to movies to documentaries and more. It costs $99 for a full year, and also comes with all the benefits of an Amazon Prime membership, including free 2-day shipping on Amazon. You can try Amazon Prime for free for a full month to try things out. The services described above all work on your computer, but chances are you’ll want to watch TV on your actual TV! To do this, you’ll need a streaming device, such as a Roku, Apple TV, etc. Think of a streaming device as a replacement for your cable box. They basically allow you to cancel cable and still watch live TV on your big screen TV. 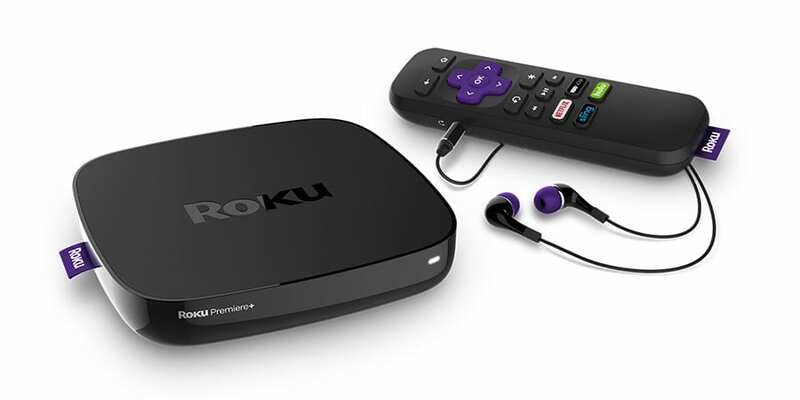 Use your Roku to watch Sling TV, DIRECTV NOW, Netflix, Hulu, Amazon Prime Video, and thousands of other services – all on a single device! Very easy to set up and use; just plug in, follow the simple instructions, connect to WiFi and you’re good to go! Roku Premiere+ supports up to 4K resolution, so if you have a 4K TV you can stream in stunning 4K resolution! Remote has one-click buttons to access Sling TV, Netflix, etc. If you’re just now cutting cable, the best deal is the Sling TV deal. Sign up for 3 months of Sling in advance ($60), and get a Roku Premiere+ for just $49.99 – saving you a full $50! That’s essentially like getting 3 months of Sling TV for only $10, while enjoying an excellent streaming player. Click here to learn more about this deal. The Apple TV device is a great choice, particularly for those who like Apple devices and who are already familiar with them. The lack of 4K streaming is a downside, but only if you have a 4K TV. The Sling TV deal makes it $89 for the Apple TV, if you prepay for 3 months of Sling in advance. Click here to learn more about this deal. If you are cutting cable, an over-the-air antenna can be a very solid investment. This is because a lot of networks actually broadcast over the air, for free. All you need to pick them up is a good digital antenna. You can get some over the air networks, including NBC, CBS, FOX and more. Note that availability of thee channels will vary depending on where you live. Some channels you may be able to get include NBC, ABC, PBS, CBS, CW, FOX, and more. Channel availability will vary based on location. Click here to learn more about the Mohu Leaf 50. Step Four: Enjoy Saving Money! For the sake of this example, let’s say you start with a cable bill of $100 per month (which is actually lower than the current national average cable TV cost). You sign up for Sling TV, and take advantage of the 50% off Roku Premiere+ deal. This will cost you $109.99 on day one, which will be prepaying for the first 3 months of Sling TV and the Roku device. After that, you’ll pay just $20 per month – for essentially the same thing you’re getting with cable! And, you won’t be tied into anything, because there’s no contract to sign. After an entire year, you’ll have paid under $300 in total, compared to $1,200+ for cable – a savings of over $900 per year! Just think, what could you do with an extra $900 in your pocket each year? This is just an example, and your numbers of course will vary – but bottom line, if you cut the cable cord, you will save a significant amount of money! Questions About How to Get Rid of Cable TV? If after reading this guide you still have questions about how to get rid of cable TV, feel free to ask! 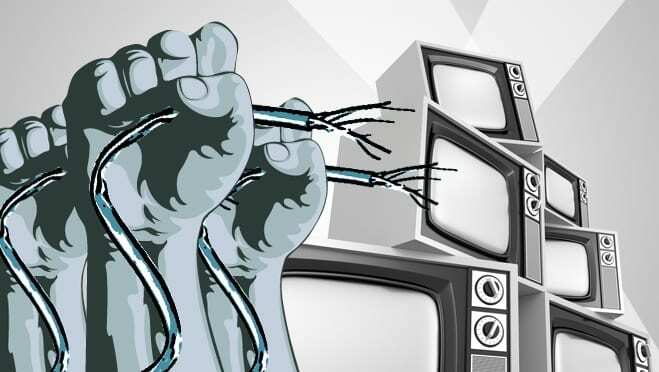 Here at StreamingObserver, we pride ourselves on our knowledge of the cord-cutting industry, and we would love to help you get rid of cable once and for all! Leave a comment, or shoot us an email if you have any questions.